B. F. Dowell House #2 | Historic Jacksonville, Inc. The Italianate style home at 475 N. 5th Street was built for Benjamin Franklin Dowell, named for his grandmother’s uncle, Benjamin Franklin. Dowell served as prosecuting attorney for Oregon’s 1st Judicial District and as U.S. District Attorney. 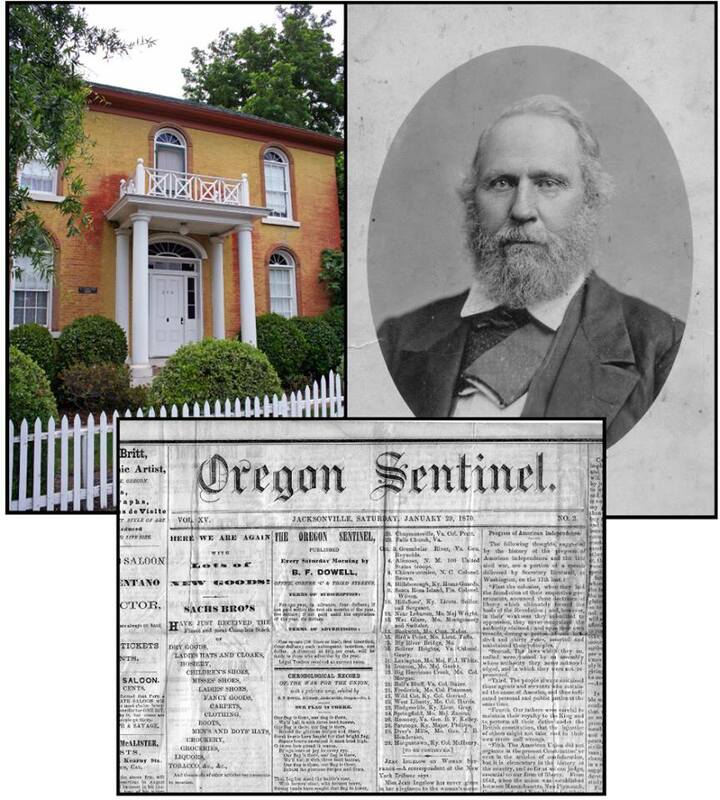 For 14 years he owned the Oregon Sentinel newspaper, the first newspaper in the Pacific Northwest to support the abolition of slavery and the first to nominate Ulysses S. Grant for president.